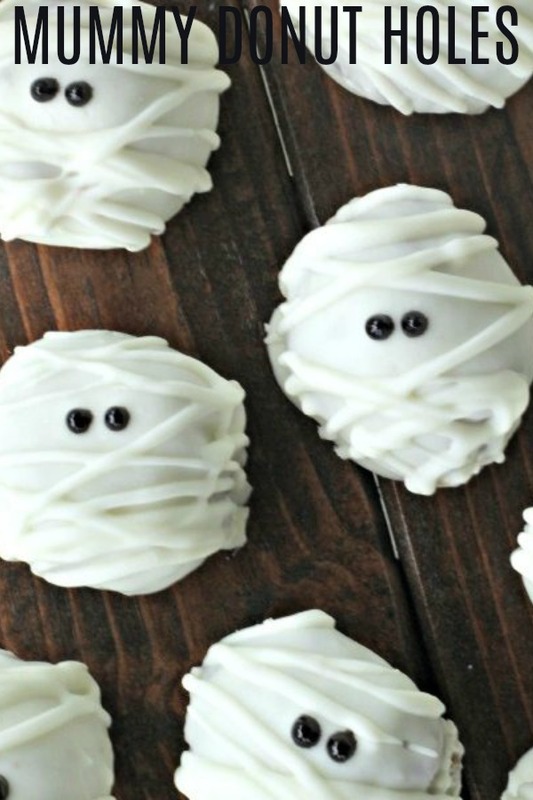 These Mummy Donut Holes are the cutest Halloween treat for all ages. They are so easy to make and only require three ingredients. These are perfect for your next Halloween party or new family tradition with the kids. I love Halloween almost as much as I love Christmas. Our mom always made it such a fun holiday. Each year, we had multiple Halloween parties: school, family, and a big party with friends. Our mom always made fun treats for the party that were festive and cute. Sometimes the simplest desserts are the best ones. You don’t need to spend all day in the kitchen with this recipe. These little donut holes are perfect for class parties or to give to neighbors (maybe even give them as the Neighborhood Phantom). Step 1: Melt 3/4 of the white chocolate candy coating in a bowl according to package directions. I have found that to keep your chocolate from burning, you should never microwave it more than 30 second intervals without stirring. I usually microwave it for 30, mix, and repeat until it is smooth. You can always add more heat and time to it, but once you burn it, you can never go back and your chocolate will be difficult to work with. I have also find that when moisture finds it’s way into the melted chocolate that it messes with the texture. Avoid putting a watery spoon in or whisk in the melted chocolate bowl. If you are melting your chocolate over the stove, keep the temperature at low. Once chocolate gets melting, it goes fast. Keep the heat low and continue to stir and watch it carefully. Step 2: Dip each donut hole in the chocolate, making sure to cover entire donut hole with chocolate. Step 3: Remove from chocolate using two forks, letting excess chocolate drip back into the bowl. Step 4: Place donut hole on baking sheet covered with parchment paper and let sit for 30 minutes to an hour so that the chocolate can harden (if desired, you can put them in the fridge and they will set-up faster). Step 5: Melt remaining white chocolate and using a spoon, drizzle mummy lines on each donut hole, leaving a little room for the eyes. Step 6: Let harden for about 30 minutes. Step 7: Place two black gel dots on each donut hole for eyes and serve. what else could i use for eyes? 2. Brown Mini M&M’s. We prefer using brown because they look best with these Mummy Donut Holes. 3. Chocolate Chips. You could use mini or large. I like the look of the little eyes, but either one would work. We have hundreds of delicious tried and true recipes. 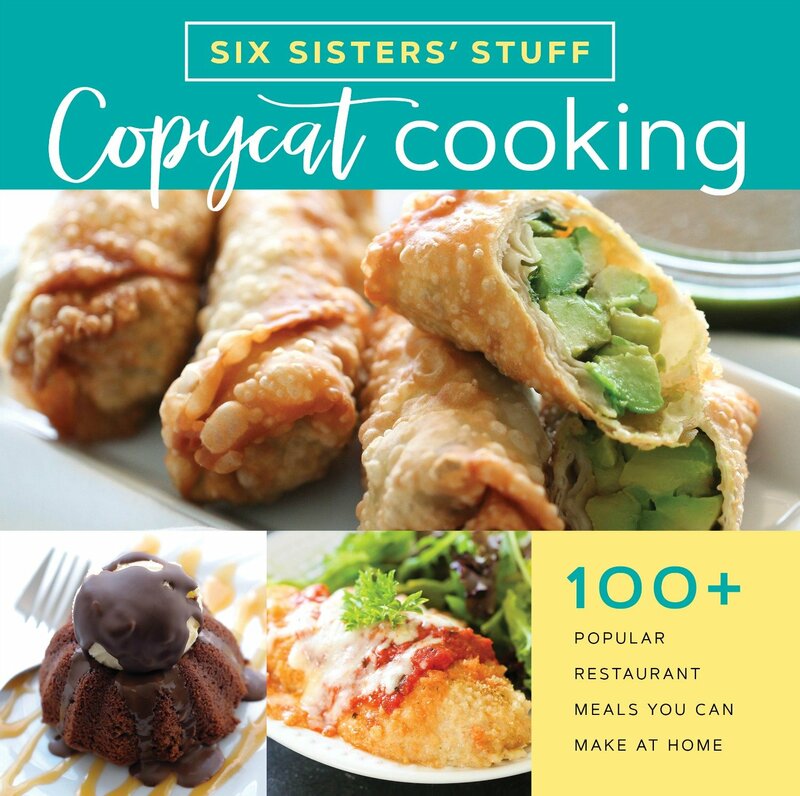 We take you through step by step how to make each recipe, so you know exactly how to make it. looking for more halloween treats? These little mummies couldn't be easier! Use store-bought donut holes and dip them in white chocolate for a cute and festive Halloween treat! Melt 3/4 of the white chocolate candy coating in a bowl according to package directions. Dip each donut hole in the chocolate, making sure to cover entire donut hole with chocolate. Remove from chocolate using two forks, letting excess chocolate drip back into the bowl. Place donut hole on baking sheet covered with parchment paper and let sit for 30 minutes to an hour so that the chocolate can harden (if desired, you can put them in the fridge and they will set-up faster). Melt remaining white chocolate and using a spoon, drizzle mummy lines on each donut hole, leaving a little room for the eyes. Let harden for about 30 minutes. Place two black gel dots on each donut hole for eyes and serve.